Our very first dog. She is our queen and she knows it. Aska is a special dog and has an unique character. She runs the family. 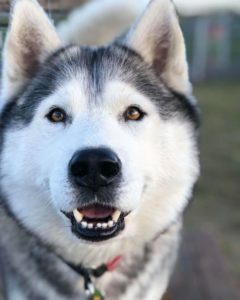 In our sled dog team she is our best leader. Aska had eight puppies with Reykur. One died in an accident, three live with us, other three are a part of our team and one lives far away but lives with good friends. Our lovely goofball. 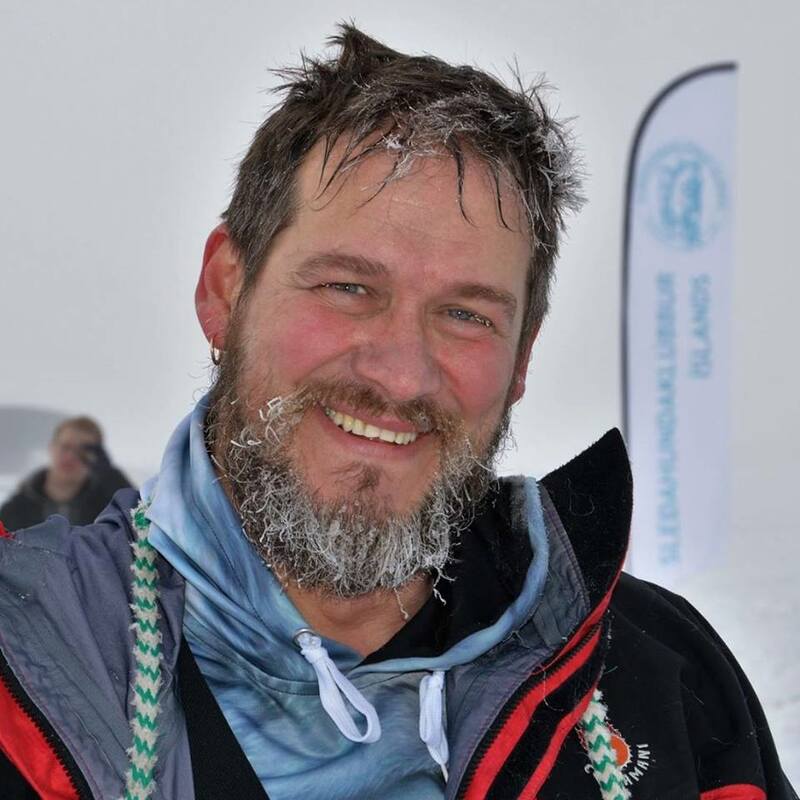 Reykur loves all people and especially women. He is the father of all our dogs, except Aska. 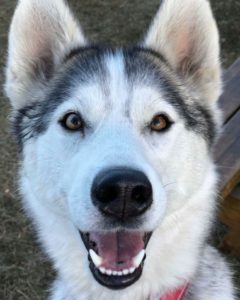 Reykur is a purebred Siberian husky and is a show dog as well as a working sled dog. 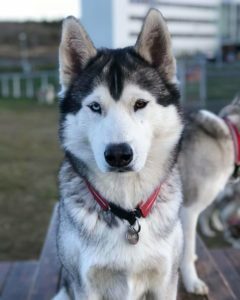 Reykur had 7 puppies with the lovely Múla Tara, a beautiful sled dog. Four of the puppies will be in our team and will participate when they get older. The princess. Clever and gentle, she will make a great leader in the future. Our big and strong gentle giant. Such a sweet boy. Stronger than everybody, can pull as two huskies. Our very fastest sleddog. Loves to run and runs fast. Also very lovable and wants to kiss everybody. Our newest addition to our pack. 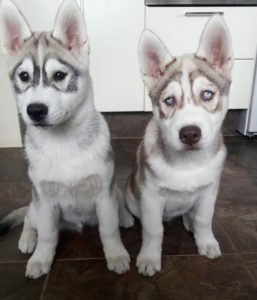 They are sons of Reykur and little brothers of the older pups. They will make great sleddogs in the future. The little ones are gentle and sweet characters. My wife and I own a family of husky dogs. 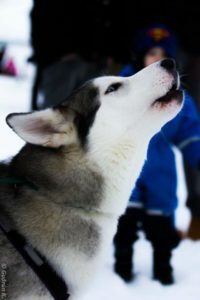 It all started with Aska and today we own 7 dogs and have 5 more in our sleddog team. Together we do variations of outdoor activity. 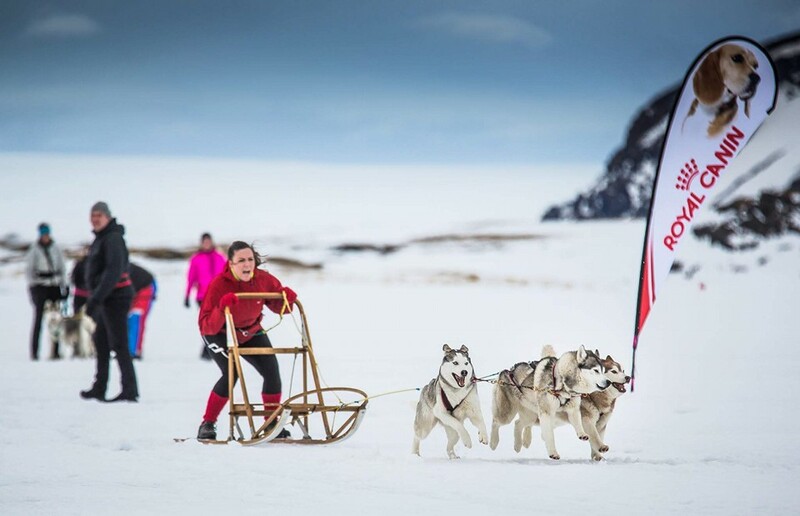 In the winter, when there is enough snow, we go on dogsleds. We have a wonderful woodland, Hálsaskógur, close to our home in the country side and sometimes we go to Kjarnaskógur, a public area, just outside Akureryri. We love to take our guest on dogsleds tours in these beautiful areas. 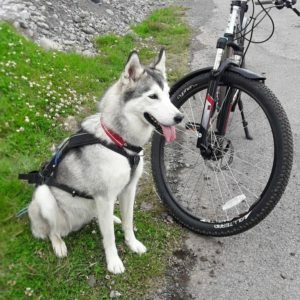 In the summer we love to go hiking and bikejoring and the surroundings of Akureyri offer lots of beautiful trails but we also have a wonderful area around our house.